It just sounds lovely, doesn’t it? A clean closet. 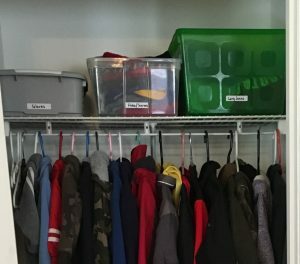 Storage that is accessible and useful and neat. A dream come true. This dream can come true for you. It takes time and effort, but by adding a little strategy you can achieve it. 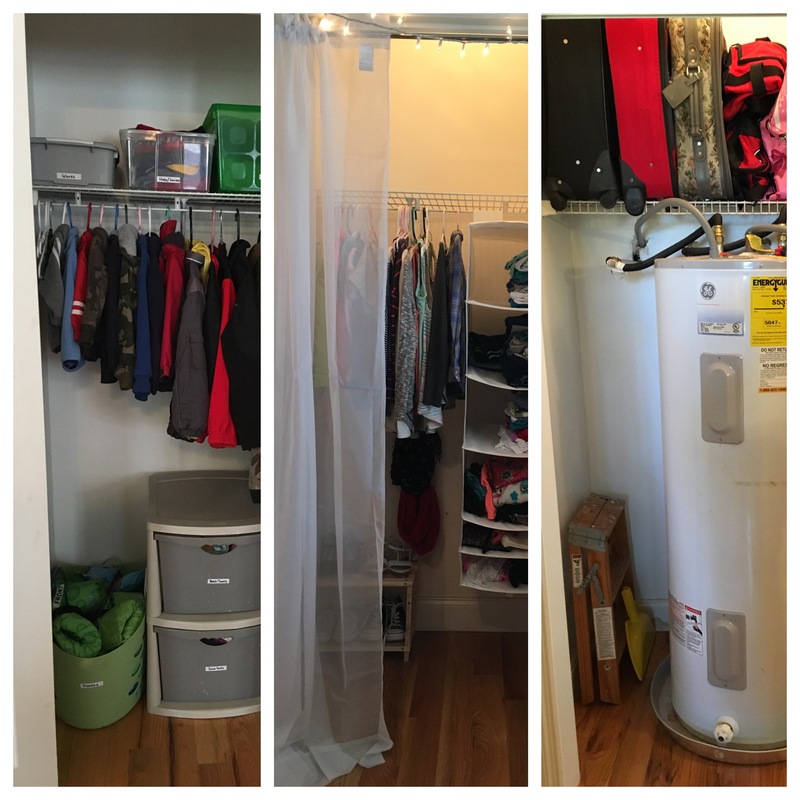 Recently a friend and I worked on a few of her closets to provide illustrations for this post. The process we used is detailed in this post, and we’ll talk about a few tips and tricks in our next post. First, take everything out of the closet. Yes, everything. No, it will not be quicker to just tidy it up in place and move it around as you work. Yes, I do mean pull it out and pile it on the floor. Note: This is not needed every time you clean up, just for the once a year (or two years or decade…) deep cleaning or reorganization. Clean your empty space. This is your chance, and it only takes a couple minutes! Sort what you have. Arrange the items to keep in groups that make sense for you. Sorting this way will allow you to see where you have excess more easily. Throw away the trash. Give away what you do not need or use. Put stray items back where they belong — elsewhere. 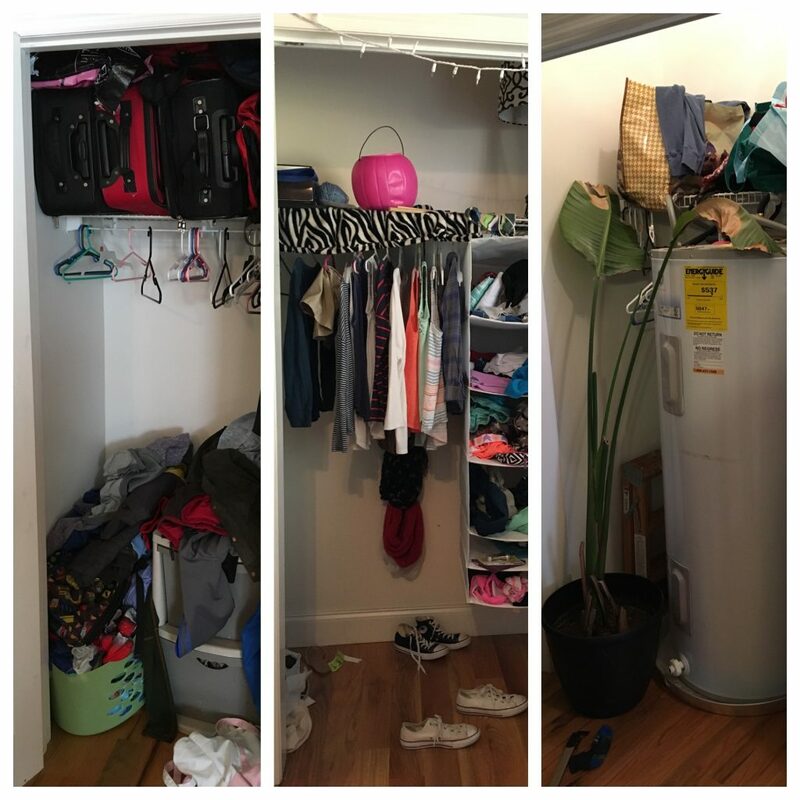 Put everything back in the closet, one section at a time. Use what you have for storage as much as possible; this doesn’t have to be an expensive endeavor. Make sure one section fits before moving on to the next. Build your puzzle one piece at a time. It will work best to have what you access most closest to you. This means items rarely pulled out go on top or in back or under something else. Keep weight and balance in mind also. A heavy item may not be best where you reach it on tiptoes, even if you don’t pull it out every week. If you have a drawer that is only half full, be free to combine two groups of items that are similar, even though you sorted them separately. Too much free space may tempt you to fill it with unnecessary things. Rejoice in a job well done! And be determined to maintain what you have just accomplished. 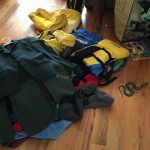 It is easier to take 15 seconds to open the drawers and put items away than to throw stuff in the door for a month or two and then need to clean it out again each quarter. If you would like a visual summary of the process described above, please click here for an infographic.